Celebrate Local Food Month and use the end of summer’s bounty with this simple yet flavor-packed recipe from The Oaks at Ojai. Full of green beans, cherry tomatoes and red onions, this recipe takes full advantage of produce found in many regions this time of year. Mix it up with some yellow beans! A great way to use leftovers, this recipe is as easy as it gets. Every time you reheat a vegetable, it loses valuable nutrients, so make it a rule to use leftover cooked vegetables in salads. If you use frozen beans, no need to cook them—just thaw and mix, The Oaks at Ojai says in its Recipes for Fitness for Very Busy People cookbook. Fun fact: 15 minutes spent catching up on some desk work will burn the calories in a serving of this salad. Cut beans in ½-inch sections and steam until tender; refrigerate to chill. 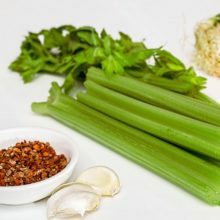 Combine the ingredients for the dressing in one small bowl. 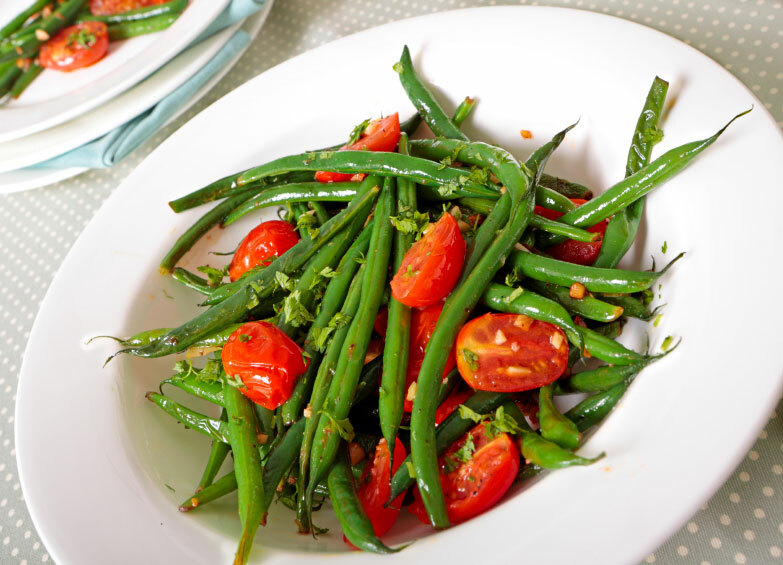 Toss beans, tomatoes and red onion together with the dressing.